Though it is the smallest of the three U.S Virgin Islands, St. John’s unspoiled beauty is perhaps the greatest found anywhere in the Caribbean. From the Virgin Islands National Park, which covers two-thirds of the island, to its legendary beaches, St. John is the quintessential getaway and the ultimate place to Stand Up Paddle. The water is warm (up to 80°F) year round, the weather is always warm&sunny (75°-80°F) except for a few storms in September. St. John is an island in the Caribbean Sea and a constituent district of the United States Virgin Islands (USVI), an unincorporated territory of the United States. St. John is located about ninety miles east of Puerto Rico. St. John is four miles east of St. Thomas (the territory’s capital, Charlotte Amalie) and four miles southwest of Tortola, part of the British Virgin Islands. You can fly either into St. Thomas (STT) or Tortola (EIS). 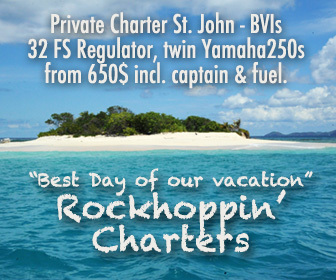 St. John is the smallest and most relaxed of the US Virgin Islands. It is as near to perfection as a Caribbean Island can be. More then two thirds of the 20 square mile island are part of the National Park, that means they are protected from development. It is a strikingly beautiful island preserved in natural beauty. No cruise ships stop on St. John, there is not a single traffic light on the island and there is no airport either. There is no McDonald’s, no Kmart, no Walmart and no movie theater but a great variety of local shops, bars and restaurants can be found in hustling and buzzing Cruz Bay, the main town of the island. St. John is 50.8 km² (19.61 sq mi) in area with a population of 4,170. 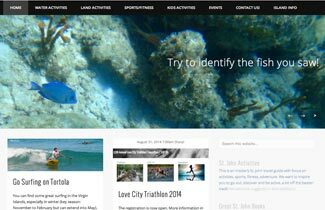 A great website with everything you need to know before coming to St. John is StJohn-Info. 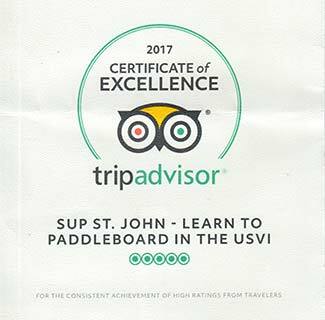 Whatever your interest or level of experience, St. John will have the perfect place to paddle for you. You can learn to paddle in calm bays but experienced paddlers will find themselves in downwind heaven. From October-April there can be some decent surf, too. You can learn to Stand Up Paddle in calm waters of protected bays. PADDLED BEFORE? GO AND EXPLORE! Or, if you have paddled before, you can rent a paddleboard and go exploring. It is so amazing to paddle to those secluded beaches and snorkeling spots that cannot be reached by foot or car! A paddle from Cruz Bay to Solomon Beach only takes about 15 minutes and is so much more fun than the hike! Or you can paddle out to Whisling Cay from Maho. Want a real adventure? Embark on a howling downwinder or go surfing at Reef Bay and other spots. Still not enough? Try a circumnavigation or participate in the 2015 Painkiller CUP Paddleboard Race. 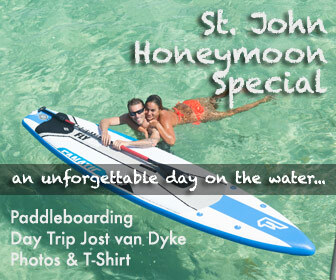 Here’s a quick overview of our favorite places to Stand Up Paddleboard (SUP) on St. John.